Welcome to the show, Douglas Boze joins me on the podcast. Doug is the author of The Ultimate Guide to Black Bear Hunting. Spring bear is nearly here and I know I am pumped to get out there and do some hunting. We cover a wide range of bear hunting tips but we talk a bit at length about calling bears. Personally I have never called in a bear but am intrigued by it for sure. If you are not a big bear hunter I recommend you give it a shot it is a blast and another way to fill the freezer, along with a great way to spend more time in the great outdoors. This episode is brought to you by On X. On X is the most trust public/private mapping system with maps in all 50 states. With the On X app on your phone you don’t even need service to know right where you stand. Just save the maps before you head out of service and you have access to not only public/ private mapping layers but also topo, satellite imagery, and many other layers. In this episode we actually talk about how I used On X app on my phone while hunting bears last in Oregon and how I was able to find glassing location by using the app. On X is a must have tool for any serious hunter. 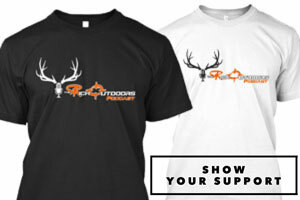 Use The Rich Outdoors promo code TRO to save 20% of your On X Membership. This episode is also brought to you by Backcountry Fuel Box and monthly supply of kickass snacks, meals, bars, and all kinds of fuel for your next adventure. its the perfect way to test out new products, stock up for season, and save money on the food. Also its a hell of a lot better then grabbing 2 BBQ burritos and a mountain dew at the gas station. So far I am blown away at the response for the box. I think we are almost if not already sold out of boxes for the first month. So far we have partnered with some awesome companies that are offering some truly great products. 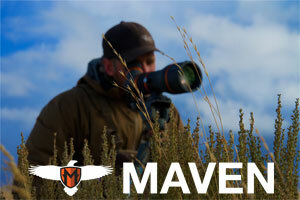 Products that are making truly high quality options and changing how we think about hunting fuel. Companies like Heathers Choice, Off Grid Food Company Wilderness Athlete, Dark timber Coffee. Companies that care about the products they produce. I gotta say too though all of these companies Off Grid, Wilderness Athlete, Heathers Choice Dark Timber Coffee, they all make awesome great tasting products as well. Those Packaroons are freakin delicious. 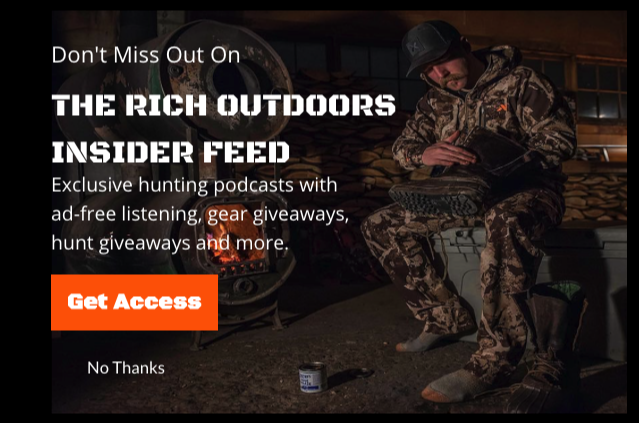 Like I said I think we are sold out of Backcountry Fuel Boxes for March but go check out all the companies and of them will even hook you up with a discount code just for being a podcast listener. Ill but links for more discount code in the show notes. If you missed out you better sign up next month to get in on the fun.